We each have our own individual taste, but as an agency whose service is the delivery of taste and tasty creative work, where does our collective taste come from? Led by visual creatives, we create, remix, revamp and evolve our clients’ brands. Type, form, color, pattern, texture, shape, motion. Sometimes a particular color becomes THE COLOR, or a method of craft THE METHOD. We fear not our taste, so here’s a taste of our taste. I’m obsessed with bright colors — they’re happy and eccentric and a visual delight. But by their sheer exuberance, they can cover a multitude of design sins and might distract from form and message. For example, a logo or brand mark needs to be strong, balanced, and well-crafted without any color, so it works beautifully when reproduced in the most basic way: black ink only. If it looks beautiful when colorful, but mediocre when black, it’s a poor design. So when designing logos, we always start with only the black mark, and determine the color palette once the form is approved. I’m sometimes in a hurry to get to that point. Color color COLOR! Most of my work is bright and vivid from the start. But the visual starkness of black, grey, and white can create stunning forms, and when I resist the allure of pigment, I tend to produce stronger work. 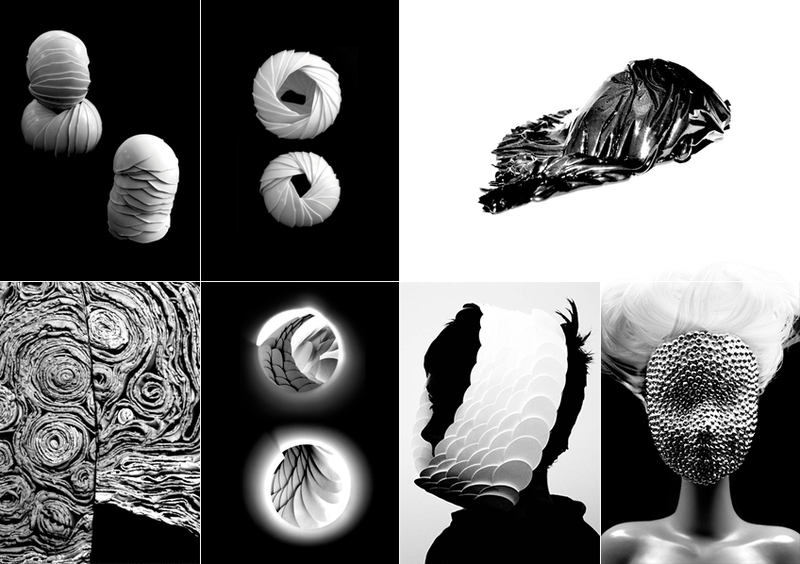 When I need to remind myself of the power of black and white, I look back to my Form Studio class in grad school: taught by Martin Venezky, the semester was an iterative exploration of visual form entirely in 2D black and white. The challenge to produce interesting work sans color forces you to focus on form alone. 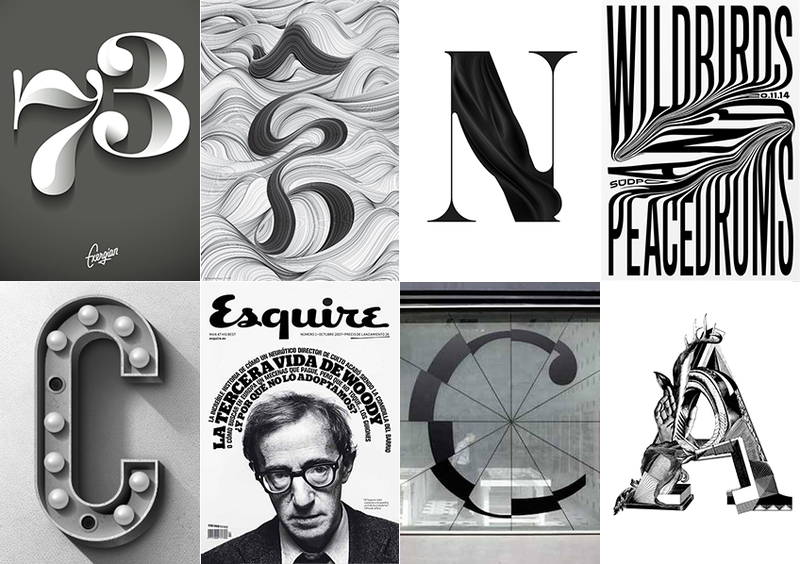 I’ve also saved a trove of striking black and white designs that I find particularly lovely, which I study to pull apart why they work so well: how tone is used, the different application of contrast, how texture and lines work together to create shape. In the most basic sense, black and white reflects the first property that the eyes process: where light illuminates mass, and where shadows hide it. Light and dark are always the first visual descriptors of an emerging language — color differentiation doesn’t develop till much later (usually “red” comes first). I suppose that in a way, using only black and white is a way of getting back to basics — in design and biology.